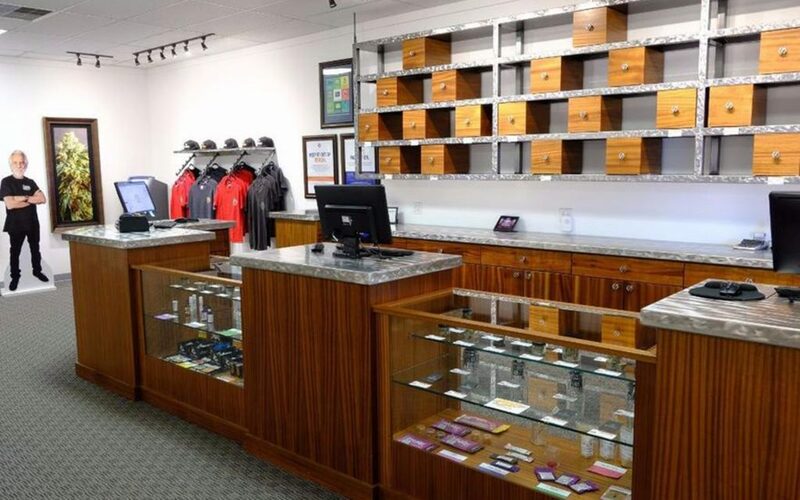 Green Mart prides itself in being a one-stop shop, offering a large selection of non-GMO, organic cannabis and cannabis accessories. 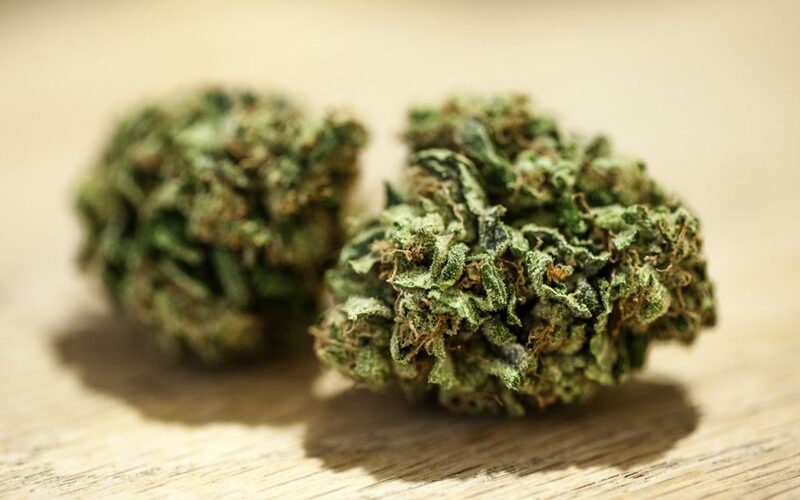 Customers appreciate that they accept debit and credit cards, and are pleased with both the quality and quantity of strains and products available. It seems like each reviewer has their favorite day to visit Nectar, from Sunday FunDay to Free Joint Friday. 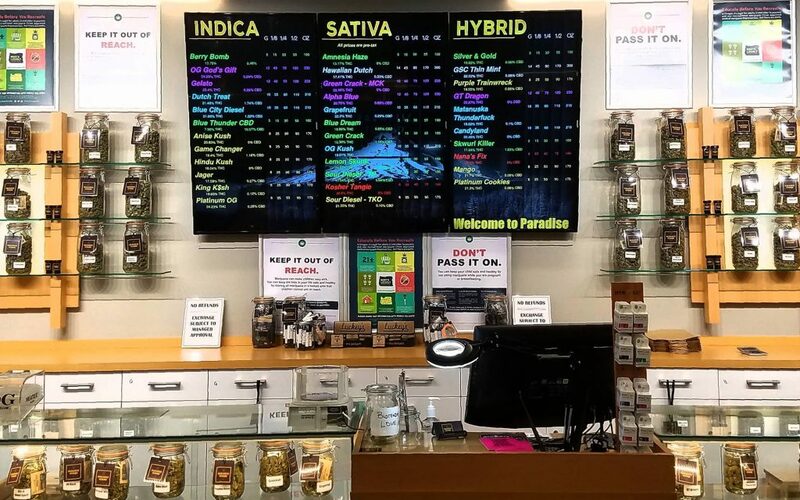 Regardless of whether they pick up a daily special, customers appreciate the fair pricing and great service at this friendly Eugene dispensary. 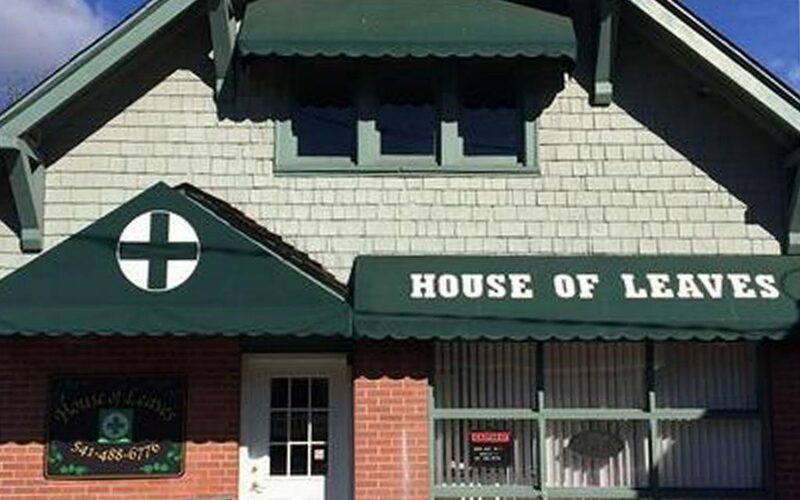 This Portland dispensary doesn’t just tolerate their patients’ furry friends – they love them! Pet visitors get free treats and ear scratches, and human visitors get amazing deals and terrific service. 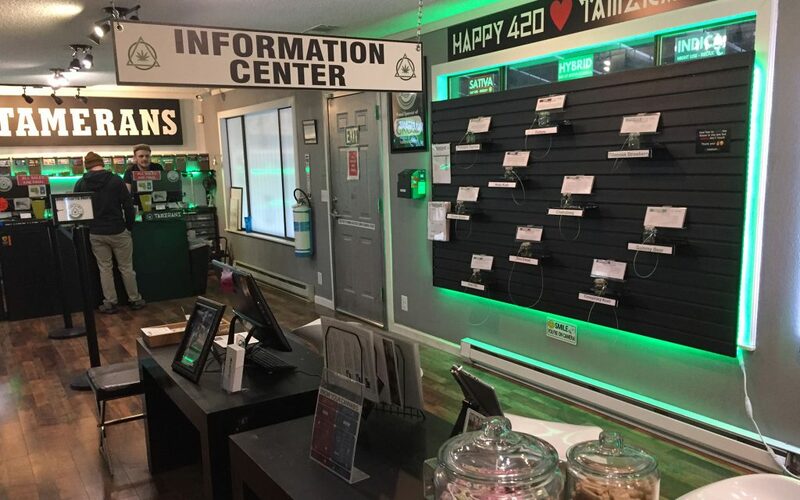 The strain wall at Tamerans is designed to let customers get up close and personal with an abundant selection of flower before they commit, and a team of helpful budtenders are always available to answer any questions. 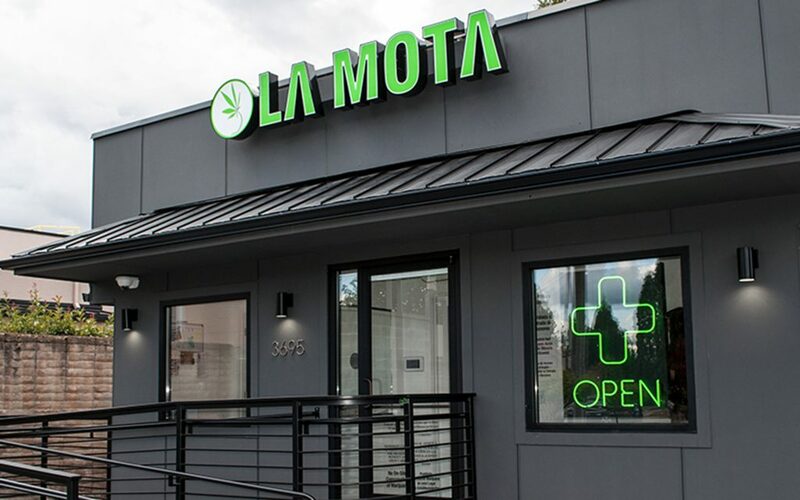 Those looking to get in and out in a hurry shouldn’t worry, though, this Grants Pass dispensary keeps their Leafly menu updated to facilitate speedy purchases. One word: bonus bags. Well, two words. 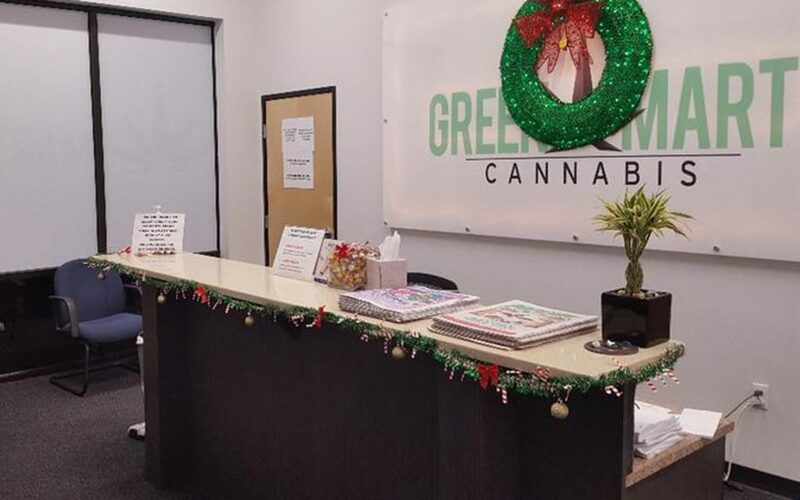 Either way, this 2500 square foot dispensary knows how to wow Salem customers with some truly amazing deals, fantastic service, quality cannabis, and a beautiful dispensary showroom. 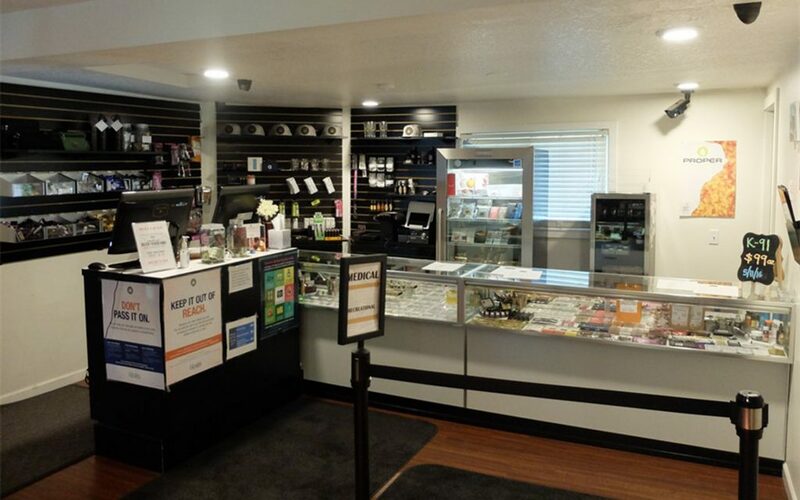 High Quality is a locally owned and operated dispensary in Corvallis. 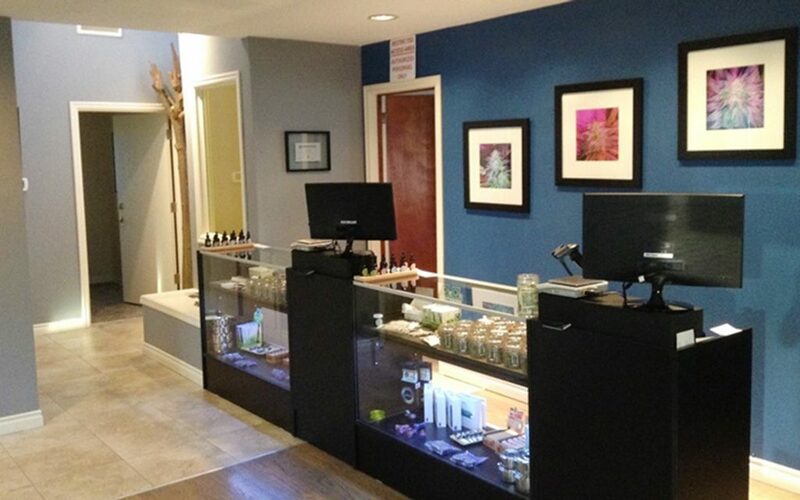 The budtenders are patients themselves who understand their patients’ needs and are eager to educate customers on the nuances of cannabis. 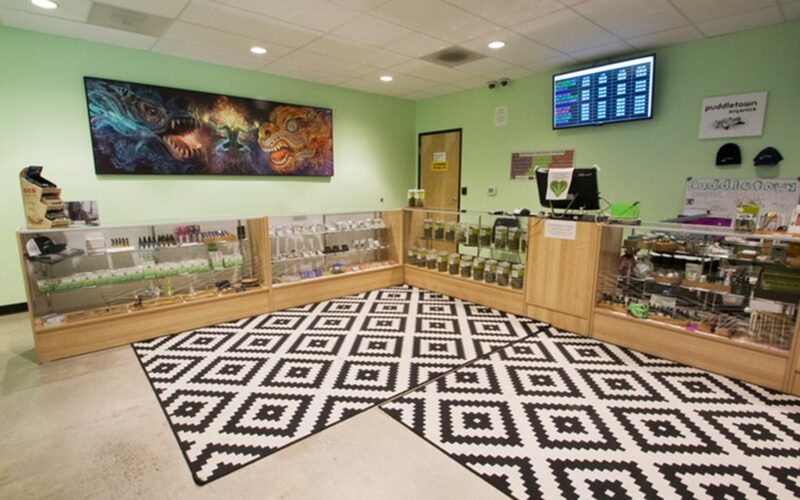 If you’re wondering how a dispensary can be sophisticated and laid back at the same time, it might be time you paid a visit to Shango’s Molalla location. Its thoroughly modern interior mixed with its laid-back (yet very helpful) staff makes customers in Clackamas and Marion counties feel right at home. 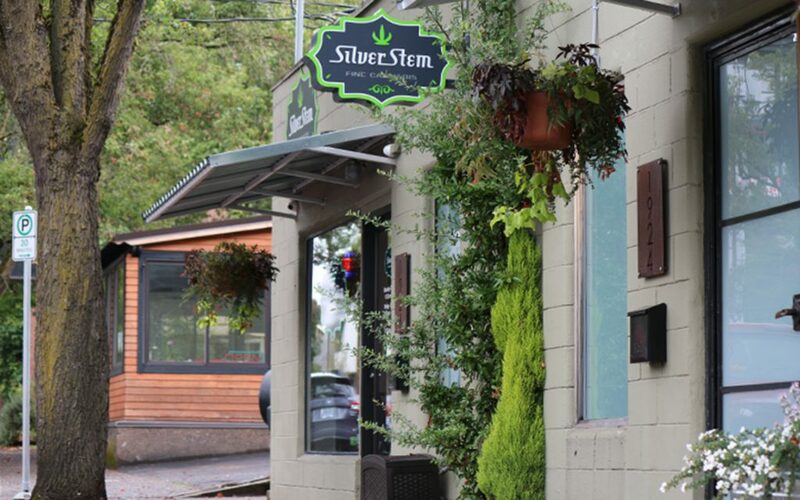 Silver Stem Fine Cannabis is working to create a world where everyone has the right to care for their own health using alternative medicine. 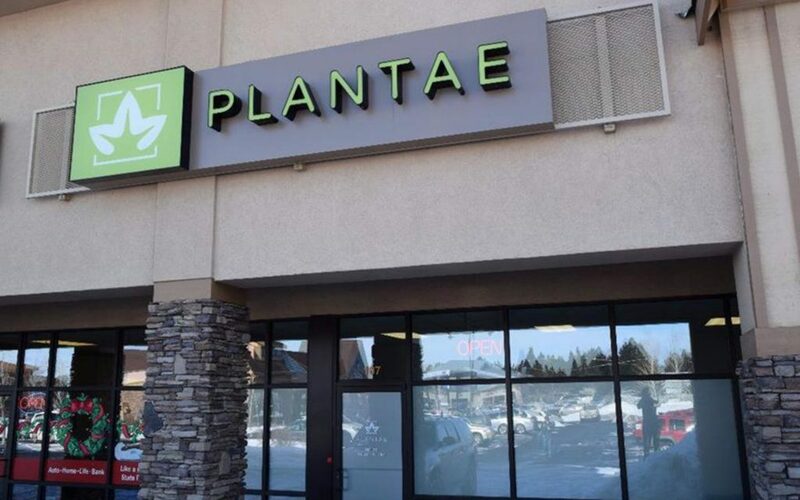 The location provides patients with an understanding and knowledgeable staff who are eager to educate and empower patients. It’s well-known for its quality product, safe practices, and transparent nature. 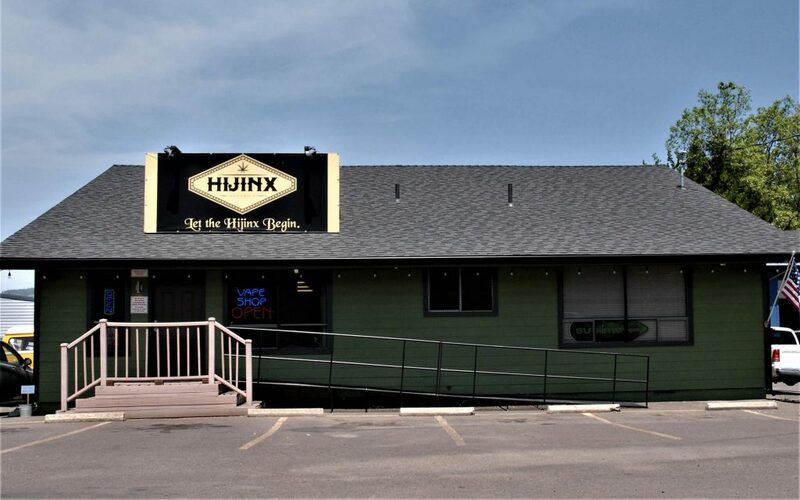 Hijinx is a family-owned, seed-to-sale dispensary located near the Oregon border just south of Medford. 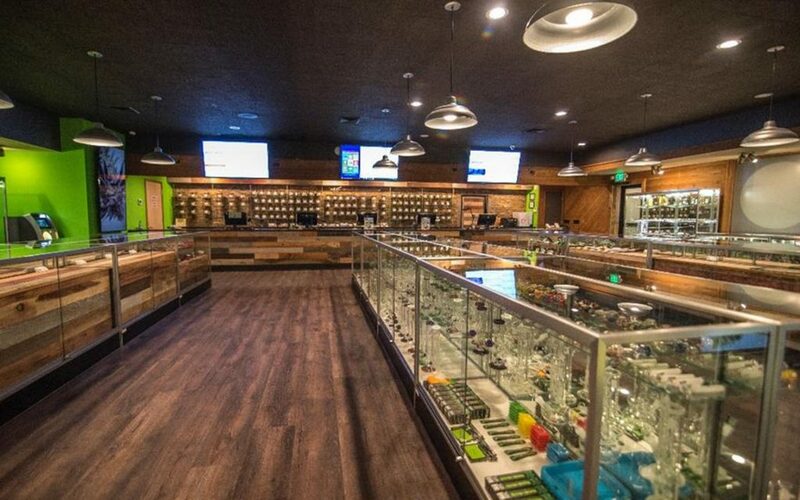 In addition to carrying their own products, they also carry a range of edibles, cartridges, seeds, and accessories from other reputable companies. OG Collective just oozes good vibes. 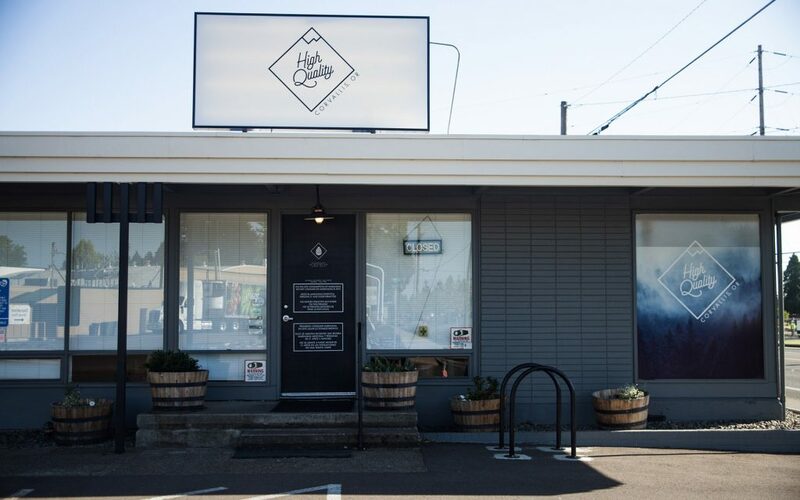 The staff at this Hawthorne Avenue dispensary have extensive knowledge about cannabis, but are also trained to listen carefully to their customers to determine exactly what their needs are before making suggestions. 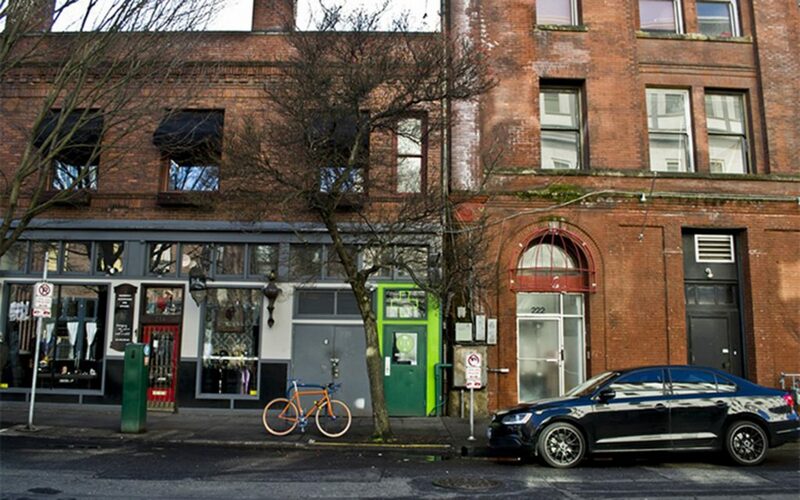 Eugene OG keeps its focus on two things: cannabis and community. 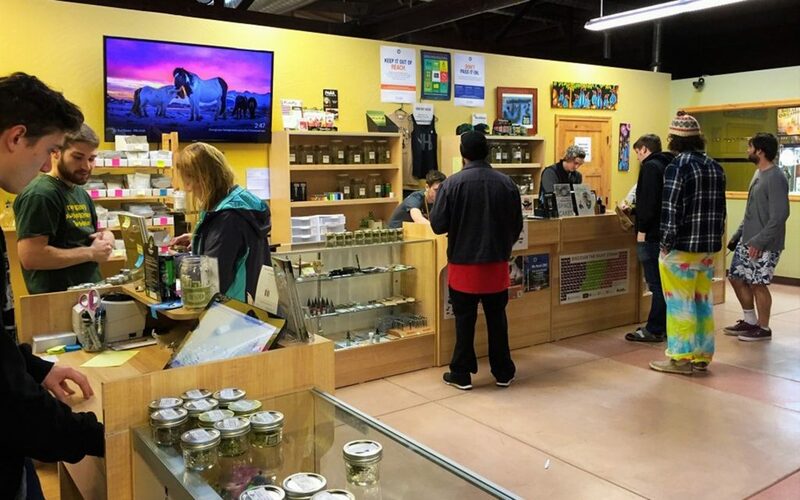 Its friendly staff handles a wide selection of quality products and flower, and the convenient location is stocked with plenty of glass and other smoking accessories, making Eugene OG a true one-stop shop. 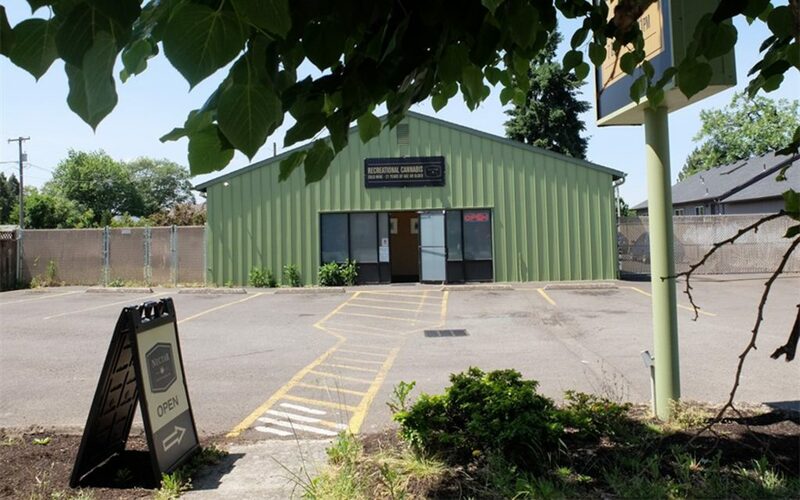 Homegrown Oregon carries products from small, boutique vendors as well as some of the largest brands in Oregon, so whether you’re looking for something familiar or something you’ve never seen before, you’ll find it at this dispensary’s Lansing Avenue location. 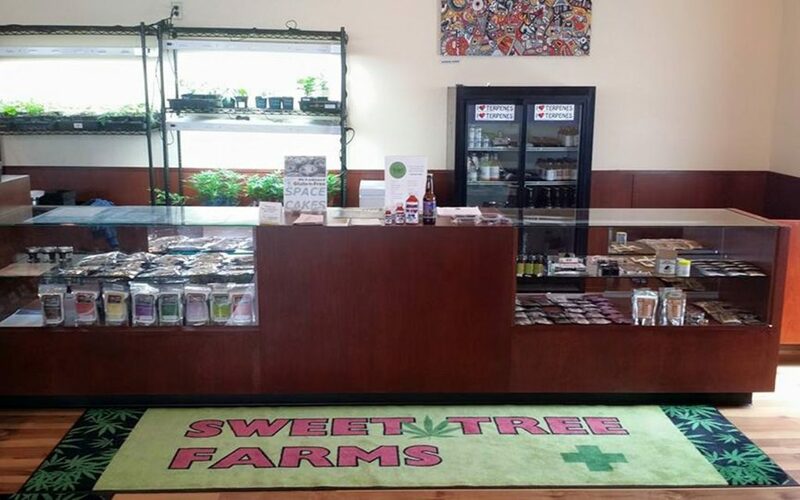 Their commitment to providing small-batch, locally-grown cannabis and their team of friendly, helpful staff make Sweet Tree Farms one of Eugene’s finest dispensaries. Customers appreciate that they’re not pushed through the transaction, and reviewers are consistently pleased with the large selection.